The world’s first underground park just got one step closer to reality thanks to approvals from the NYC Economic Development Corporation. The Lowline, which will occupy a 40,000-square-foot abandoned trolley terminal below Delancey Street on the Lower East Side, received the thumbs up after an eight-month bidding process during which no one else submitted a proposal. City hall granted co-creators James Ramsey and Dan Barasch control of the space provided they can reach a $10 million fundraising goal over the next 12 months, complete a schematic design, and host five to 10 public design sessions and quarterly community engagement meetings. What’s next and who’s paying for this? The hottest destination in the Lower East Side is not a bar, but rather a cutting edge installation hidden inside a vacant warehouse at 140 Essex Street. 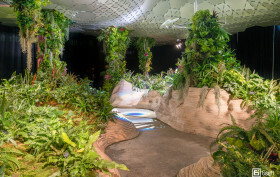 Just over a week ago, partners James Ramsey and Dan Barasch launched the Lowline Lab, a high-tech, miniaturized precursor to the city’s first underground park. 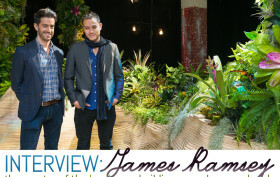 James is the co-founder (alongside Dan) of the park, which will occupy a 40,000-square-foot abandoned trolley terminal below Delancey Street; and creator of the technology that will fill it—a remote skylight system that redirects light underground thorough a maze of optic tubes and diffuses it over a canopy to produce a subterranean environment where plants can grow and flourish (phew!). 6sqft recently took a private tour of the Lowline Lab alongside James, and he gave us some insight into the science, as well how he and Dan are approaching the challenges that come with bringing a park below ground to life. We of course asked all those questions you’ve been wondering about, like: Who’s paying for this whole thing? And what about the rats?